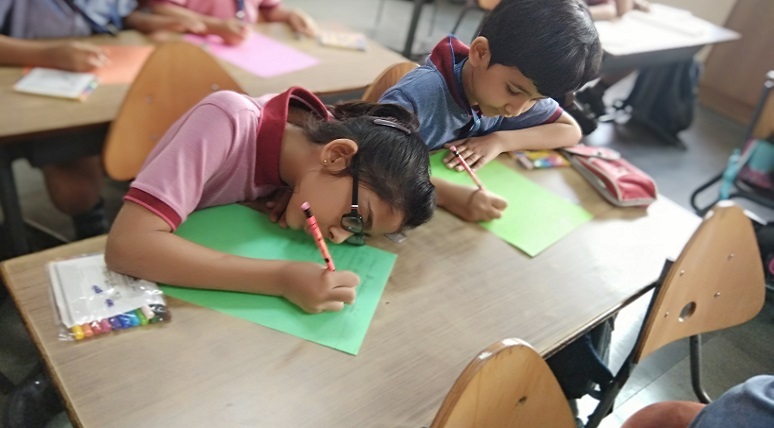 With the beginning of the new session at MRIS-14, Faridabad, students were seen engrossed in various kinds of Multiple Intelligence based hands-on activities which help the children develop a global perspective and apply the skills in their daily life. The upgraded curriculum and pedagogies gave opportunities to the students to explore, experiment and express. 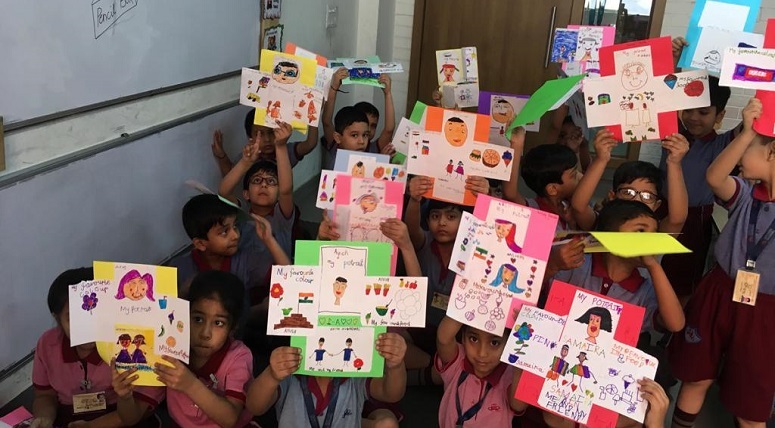 Children enjoyed activities involving Seven Learning Areas which include- Language and Literacy, Numeracy, Crest (Conceptual learning), Sports & Wellbeing, Visual Arts, Performing Arts, Life Skills. 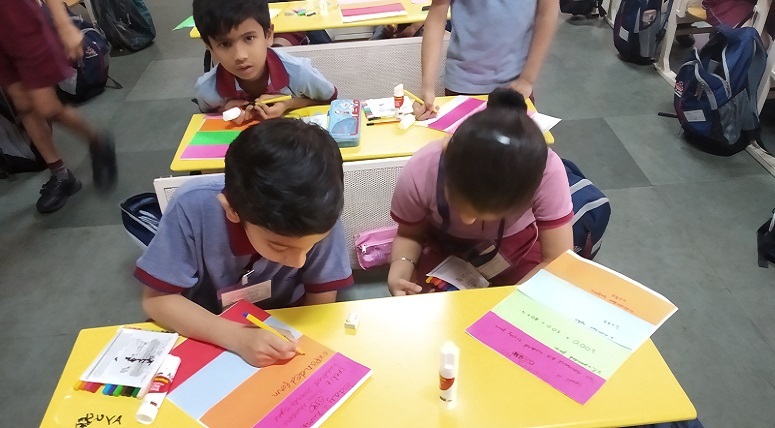 Children were seen expressing what they have learnt through the act of doing as well as through the act of verbal presentation. They also worked in group thus developing teamwork and social skills. 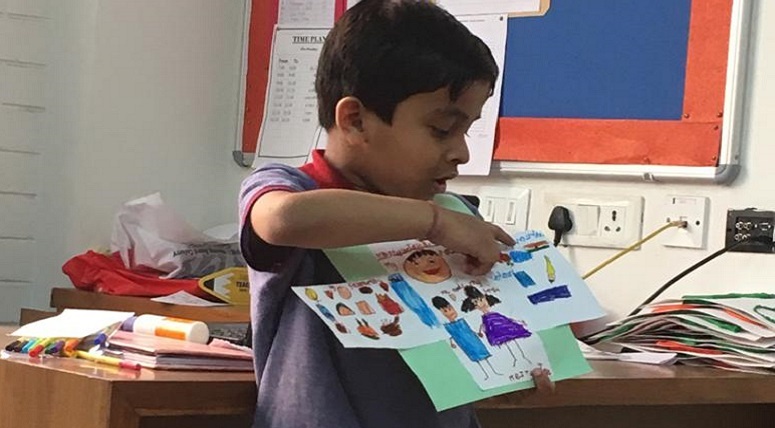 They participated in Show and Tell activity, number game, poster making, three and four digit numbers and also checked flexibility using rubber bands. Such activities would be a regular part of teaching learning process making it interesting for the children.